Action legend Jean-Claude Van Damme (Double Impact, Bloodsport) takes a powerful dramatic turn as a war veteran with PTSD helping two boys get revenge on a violent drug lord in the gritty crime thriller. "We Die Young," arriving in select theaters and everywhere On Demand on March 1, 2019 from Lionsgate. Based on the award-winning short film "Roads" (2008 Student Academy Award for Honorary Foreign Film Award - Foreign Short; 2008 London Film Festival – Short Film), which screened at over 70 international film festivals and held the Guinness World Record for Most Awards Won by a Student Film, "We Die Young" focuses on the struggles of gang life in Washington, D.C.
"We Die Young" also stars Elijah Rodriguez (The Book of Life, Sicario: Day of the Soldado), Joana Metrass (TV’s “Once Upon a Time”) and David Castañeda (Sicario: Day of the Soldado, End of Watch). It was written and directed by Lior Gellar (Roads) and was produced by Sagiv Diamant (God the Father) and Gabriel Georgiev (The Hurricane Heist). 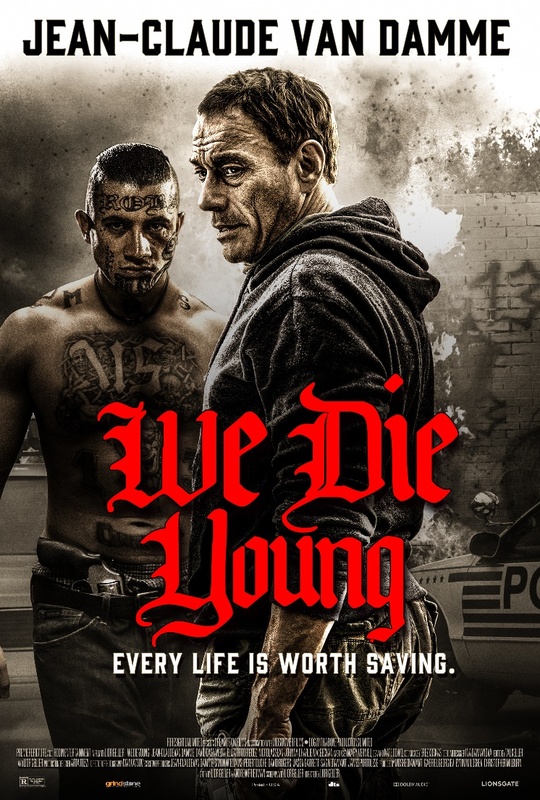 Fans will see Jean-Claude Van Damme in a whole new light as he takes on a career-redefining dramatic role in "We Die Young." Van Damme’s incredible talent reveals itself in his ability to “convey volumes of emotion” without saying a word. "We Die Young" opens March 1, 2019 in select theaters in New York, Los Angeles and other major markets, as well as On Demand on major digital platforms including iTunes, Amazon Prime, Vudu, and others.